Thanks for inviting me today, Kim. 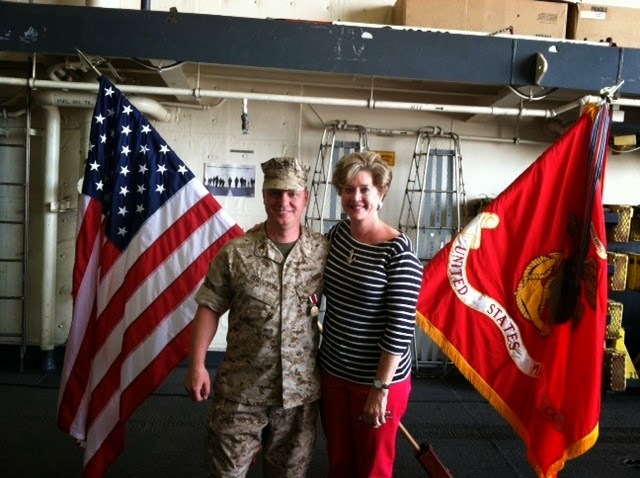 I’m so happy to share my stories about healing with your readers, both military and civilian. In February, a woman approached my table at the Amelia Island Book Festival here in Florida and thanked me for the healing properties in my books. 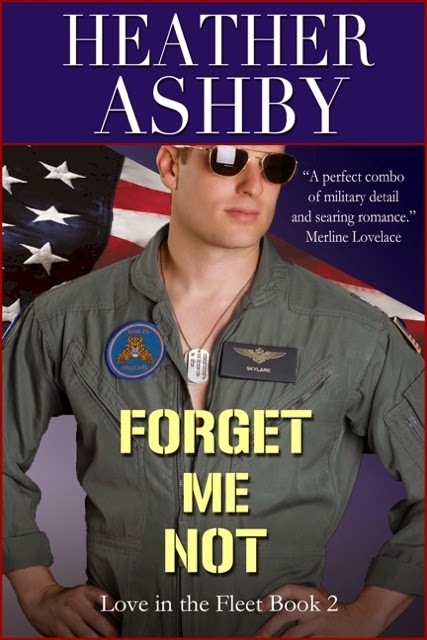 She said she was a physician in the Washington, D.C. area and that she recommends Book 2 in my “Love in the Fleet” series, Forget Me Not, to her military couples dealing with PTSD. My jaw dropped and the following words echoed in my head: Mission accomplished. 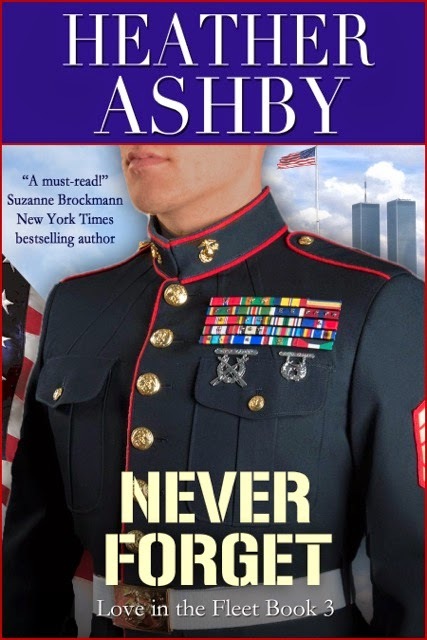 Our Marine protagonist and his issues are introduced in Never Forget and he is healed in Unforgettable by a hypnotherapist. Before you scoff, let me explain. 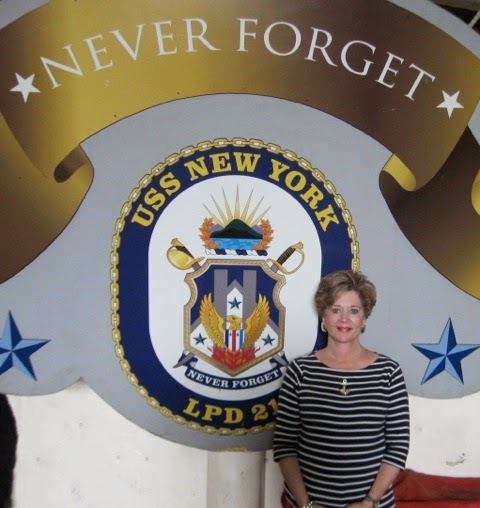 9/11 occurred a month after the unexpected death of my only sibling. My Army son left for war several months later, and I assumed care of my eccentric, elderly mother—while I was teaching elementary school. I resumed smoking cigarettes, a habit I had kicked twenty years earlier. After my son was safely home and the dust had settled, I went to a hypnotherapist as I had become a completely addicted smoker again. She not only removed smoking from my life in one day, but healed all the reasons I ever smoked in the first place! 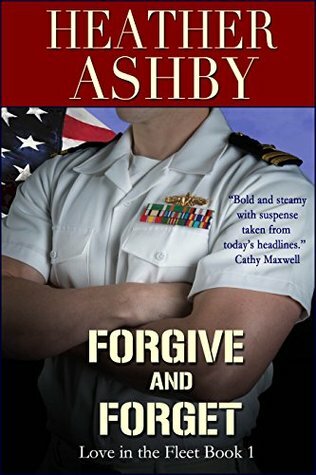 My immediate reaction was: “Can this heal combat PTSD?” To which she replied, “Absolutely.” Then and there, I knew I had to write this story. Check out this interview on NPR for more information at this link. The doctor who thanked me at the book signing shared her concerns over the medications being prescribed for PTSD. She said that we need to heal the reasons why patients have symptoms, not just treat the symptoms. I totally agree. The hypnotherapist I saw in 2010 gave me a new lease on life. And I want that for all of our troops who came home with issues. 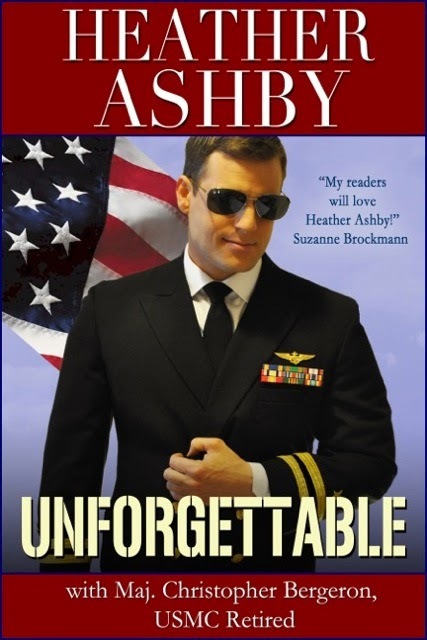 I hope and pray that Unforgettable will find its way into the hands of those who need to read it. And then I can say, once again: Mission accomplished. 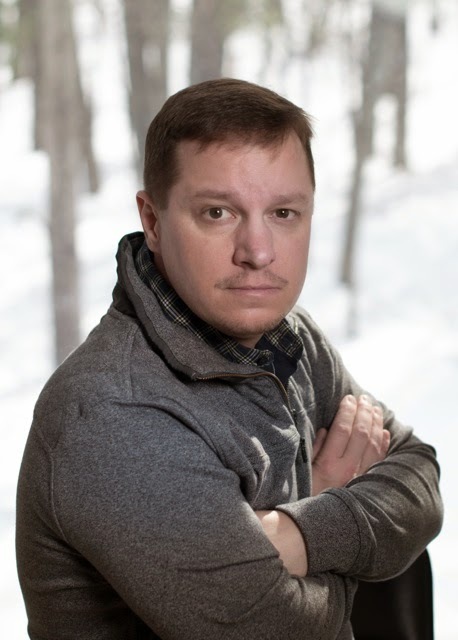 Your readers are invited to stop by and chat with Chris and me and our awesome guest authors on Facebook at AN UNFORGETTABLE LAUNCH PARTY from 5-10 EDT on April 15, 2015. Click here to RSVP. Hope to see you there! Thanks for in inviting me, Kim. Now I have a question for your readers. What do you think is the secret to healing? Any kind of healing? Could be bodies, relationships, emotions, you name it. I have a $10 gift card for one lucky commenter. Blessings to you and your readers. 1. Answer her question - what do you think it the secret to healing? From what I've seen it involves a combination of having the support of family and friends and finding ways to cope. Taking it one day at a time, one hour if necessary. Support is vital as well. Yes. I've read lately that people who live in the past are depressed and those who live in the future are anxious. But those who can live in the present are the healthiest and happiest. Taking life one day at a time is excellent advice. And yes, sometimes, it's an hour at a time. And yay to support. Blessings to you and yours. You got it, Kim. Friends and family support can be so healing. And finding the right support group, as well. Time most of all & a good support system. Oooh, sweet, Mary. I forgot about the gift of time - combined with a good support system. A combination of things. Certainly family and friends. Support groups. Perhaps a program with service dogs. Yes, support from family and friends is SO important, Karen. And I love the service dog programs. Thanks for stopping by. True friends or loving family. Time and acceptance of the things one cannot change. Hope for te future and the will to continue. Thanks for mentioning prayer, Beautiful! It is so important. I think it is different for everyone. Love, support groups and professional help isone road. Time is another but can often backfire. You are so right, Debby. Time can backfire if people avoid an issue for too long. "Stuff" doesn't just go away, so the sooner it's dealt with, the better. Thanks so much for stopping by this morning. Thanks for stopping by, Susan. Yes, each person is unique in the lives and in their healing, but there's no question about support and prayer being vital factors. Family and Friends. Lean on God. He promises to be there for us. Therapy because this can not be done alone. I agree with everything, Lynne. AND when people lean on God, I've seen Him lead them to the RIGHT therapy and other help. To me, God is a key factor. Thanks so much for stopping by and for all your support. Hugs. forgiveness and moving on!!! thanks for sharing! That is SO true, Erin. Forgiveness can be so difficult, but in many cases, one cannot move on - or forward - without it. I agree that you have to let things go and support of others is a big help! Time. There's really nothing like time to help with healing and giving you some room to accept what has happened. I think one needs to find an inner peace before they can start healing. This can be based on anything, and will likely be different for every person. Once that peace is found, the mind and body can move on and concentrate on healing. TOTALLY agree, library pat. For physical healing, inner healing must take place first. It's called "Dis-Ease" for a reason. I call it "Issues in the tissues" too. Whenever I have physical problems, I start looking at what's going on in my life. Usually I'm doing too much and/or stressing out over something. As soon as i take care of it, the physical problem often subsides. Time, supportive people around you, taking things one step at a time. These sound like wonderful stories! I will be adding them to my TBR. Yes, Tina, love CAN do amazing things. Thanks for checking out the series. Hope you enjoy them. An amazing testimony that healing comes in many forms. Blessings to you, Heather and Chris. Thanks, Siera. YES to healing coming in many forms. I'm sure you know this as a nurse. Thanks for all YOU do to help people heal!